“The garden that is finished is dead.” – H. E. Bates. This sentiment is shared by owners Rob Hubbard and Leanne Muller, whose stylish, tiered garden overlooking one of the Sunshine Coast’s northern beaches is very much alive – and not considered finished.“It’s important you don’t look for that finished product.We wanted to get comfortable with the garden, and embrace it as a changing, dynamic environment,” says Rob. 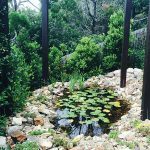 Eagle-eyed readers will recall seeing this stunning property just after the Outside Noosalandscaping team completed a major garden makeover two years ago. It was a vision even then and, subsequently, was recognised as a finalist in the Design and Construction category of the Landscape Queensland Construction Excellence Awards in November 2012.The project – to transform a large allotment on a sand dune into a verdant coastal sanctuary – intertwined bush and beach in a sophisticated way, with a good dose of construction ingenuity. However two short years have seen the landscape transform again, with the garden planting now coming into its own, delighting Rob and Leanne, and their regular visitors. Once-young plants have now reached a maturity beyond their years, giving the impression that this garden has been carefully tended for a long time. In 2012 you could stand on the pool deck and easily view the newly constructed pathways below. 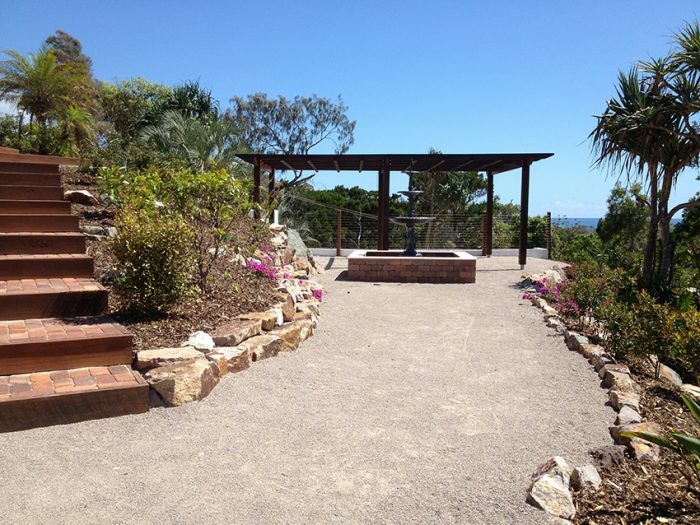 From the same spot those pathways are now hidden, with the taller shrubs – Viburnums, Sasanqua Camellias and Carissa ‘Desert Star’, along with Cottonwood Hibiscus and citrus trees – creating both shade and privacy.As you explore what lies beneath, the clever garden design by Outside Noosa’s John Scomparin offers a heightened sense of anticipation – you wonder what secret corner or surprise you will find around the next bend. Indeed, around the gentle bends you discover peaceful resting places, including a reading bench, and further on, a recent addition – a stone-lined lily pond.You will also find a wonderful area for socialising, where you are greeted by a commanding Spanish Mission-style fountain which beckons you to a large, outdoor dining setting under a pergola.The space is enveloped by the Metrosideros ‘Fiji Fire’ shrub, cascading Bougainvillea and a feature Ficus (or Weeping Fig) tree. It is a setting that enchants at night, too; many of the trees and shrubs are illuminated by LED garden lighting. 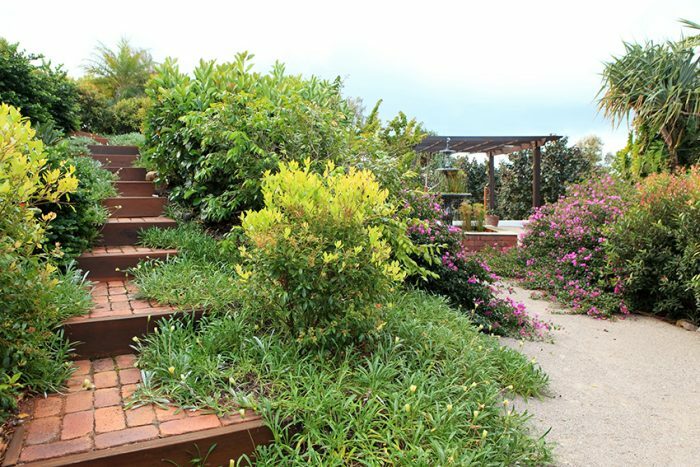 Green thumbs will recognise Gazanias, Star Jasmine and Tri-coloured Jasmine lining the pathways and cascading over the rock edges. Espaliered Bougainvillea and Star Jasmine are a feature of the pool and garage walls. 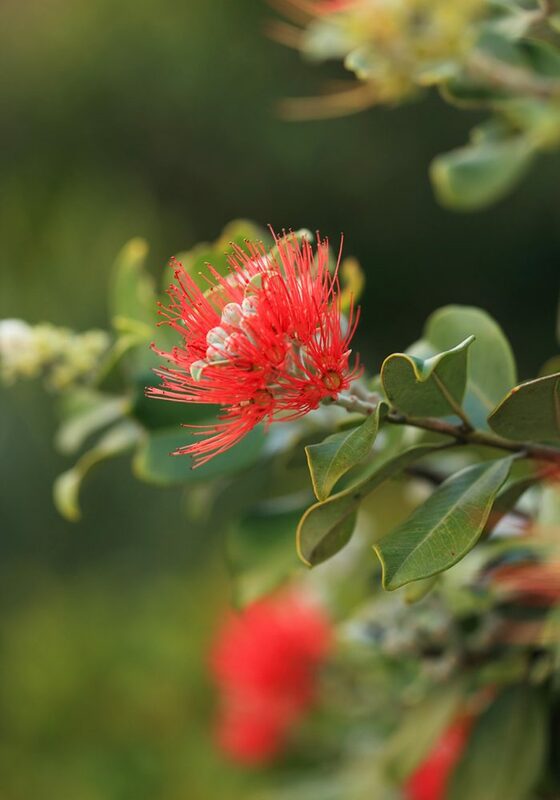 The garden perimeter is lined with Broad-leafed Lillypilly and the Fraser Island Apple Tree. Such is the maturity of the trees now that you don’t notice the fencing.The garden blends easily with the adjacent nature reserve not only visually, but in terms of shared tranquillity. Japanese Box Hedge lines the entrance driveway, with a secondary hedge of Gardenia Floridas. A circular guest driveway is lined with Magnolia Little Gem. 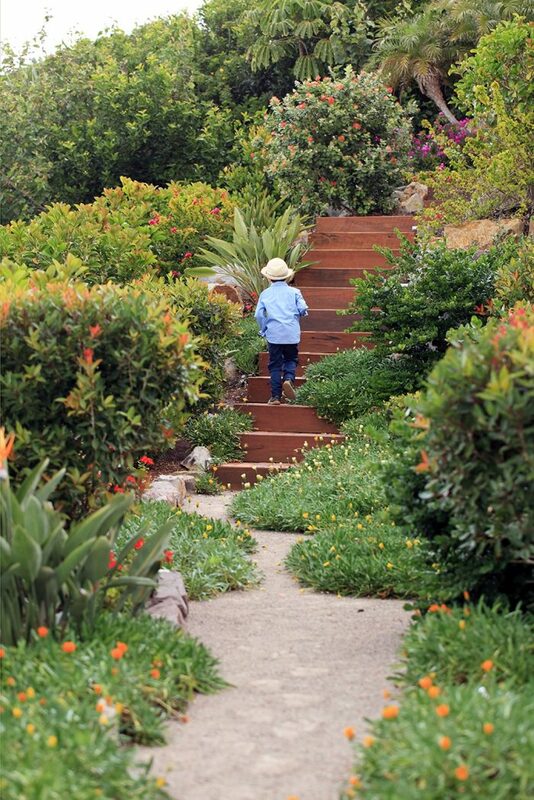 From every place in the garden the senses are also treated to the ambient sound of the ocean. For all its splendour, this is not a high maintenance garden. John (pictured above) says bringing in top quality soil got the garden off to a very good start. 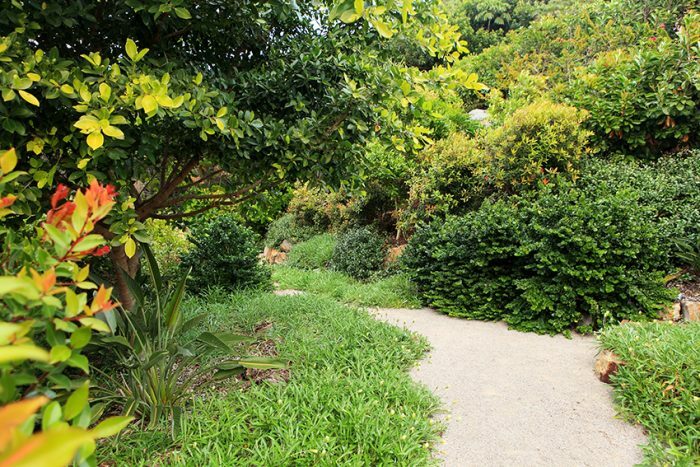 In terms of the initial plant selection, he says he had aesthetics in mind to a point, but the garden had to be hardy enough to deal with exposure to the full range of climatic extremes typically experienced at a beachfront location. So, what’s next? 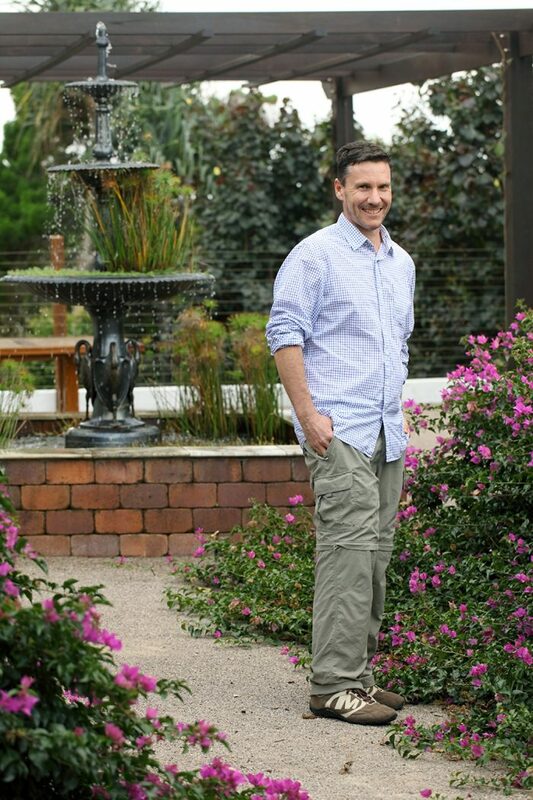 Rob and Leanne have flagged with John their idea to introduce paved steppers with mondo grass under the pergola. There’s also a notion to make an L-shaped day bed from recycled timber, left over from the early construction phase. 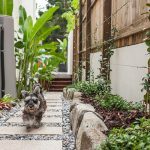 Right now, Rob and Leanne’s pleasure with this garden is evidenced by them spending time in it… not toiling, but simply enjoying it together with friends and family. 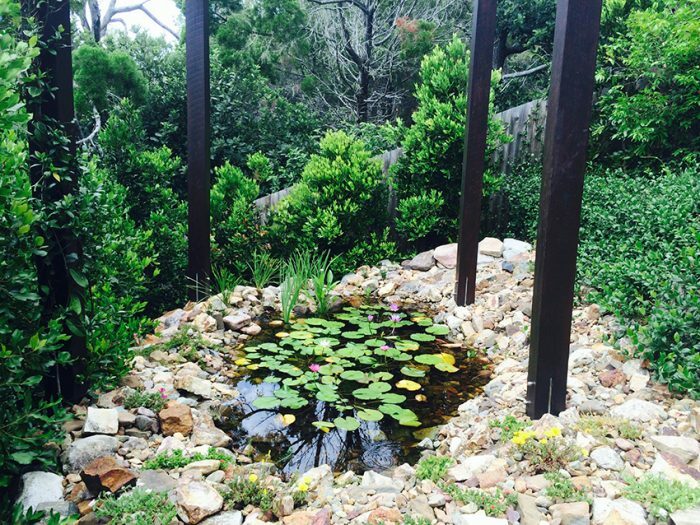 “The garden has been so successful in terms of how the plants have grown. It gets better every day, and it is due in large part to the plant selection and the creation of different micro climates. We want it to grow with us, and look forward to it continuing to change over time and surprising us,” says Rob.